Aviation400 Model: one limited edition, collectible die cast airliner model in 1/400 scale. 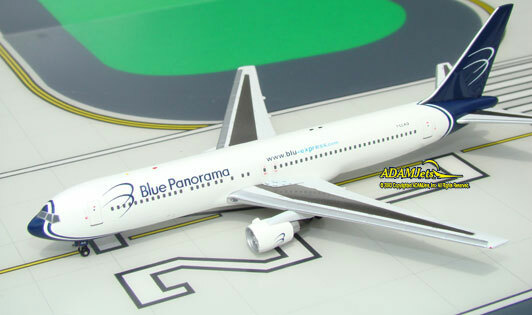 All construction is made of metal, of an Boeing B767-3G5/ER in the Blue Panorama Airlines Current Colors. Airframe Registration I-LLAG. This models is available as of September, 2008. 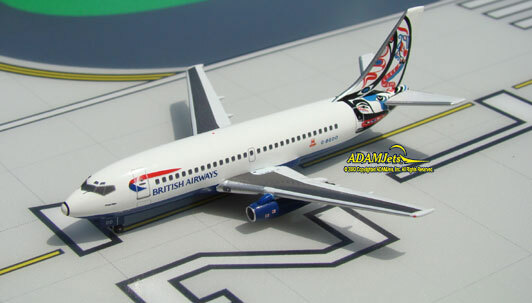 Aviation400 Model: one limited edition, collectible die cast airliner model in 1/400 scale. All construction is made of metal, of an Boeing B737-204/Adv. 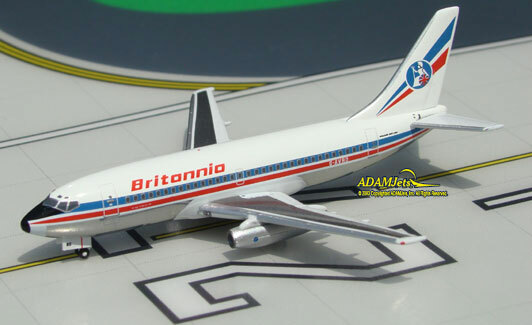 in the Britannia Airways Old Colors. With Red Titles.Airframe Registration G-AVRD. This models is available as of June, 2009. Aviation400 Model: one limited edition, collectible die cast airliner model in 1/400 scale. All construction is made of metal, of an Boeing 737-236/Adv. 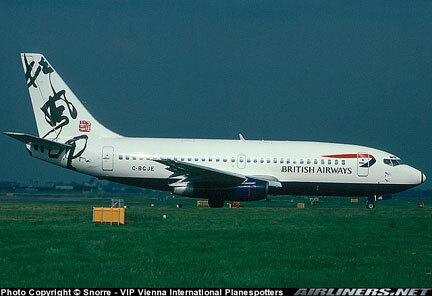 in the British Airways Old Rendezvous Honk Kong Tail Colors. Airframe Registration G-BGJE. This models is available as of April, 2008. Aviation400 Model: one limited edition, collectible die cast airliner model in 1/400 scale. All construction is made of metal, of an Boeing B767-336/ER in the British Airways Holland World Tail Colors. Airframe Registration G-BNWA. This models is available as of August, 2007. Aviation400 Model: one limited edition, collectible die cast airliner model in 1/400 scale. All construction is made of metal, of an Boeing B767-336/ER in the British Airways Denmark World Tail Colors. Airframe Registration G-BZHA. This models is available as of August, 2007. Aviation400 Model: one limited edition, collectible die cast airliner model in 1/400 scale. 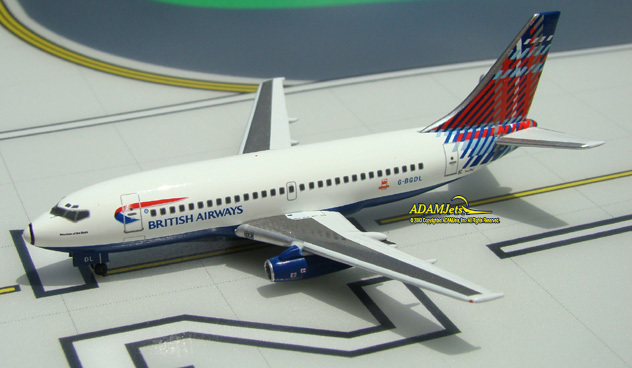 All construction is made of metal, of an Boeing B737-236/Advanced in the British Airways Scotland World Tail Colors. Airframe Registration G-BGDL. This models is available as of June, 2008. Aviation400 Model: one limited edition, collectible die cast airliner model in 1/400 scale. All construction is made of metal, of an Boeing B747-209F/SCD in the Cargo B Airlines Current Colors. Airframe Registration OO-CBB. This models is available as of August, 2008. Aviation400 Model: one limited edition, collectible die cast airliner model in 1/400 scale. 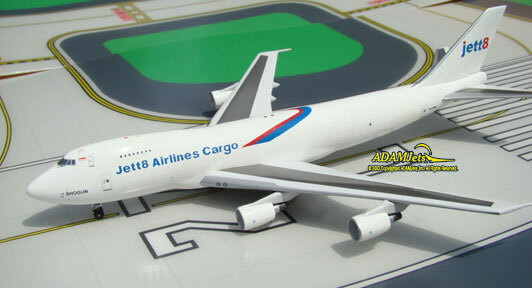 All construction is made of metal, of an Boeing B747-2D3B(SF) in the Jett8 Cargo Airlines Current Colors. Airframe Registration 9V-JEA. This models is available as of August, 2007. Aviation400 Model: one limited edition, collectible die cast airliner model in 1/400 scale. All construction is made of metal, of an Boeing B737-244/Adv. 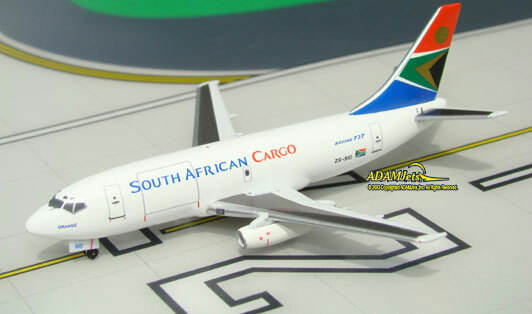 in the SAA - South African Cargo Airways Current Colors. Airframe Registration ZS-SID. This models is available as of September, 2008. 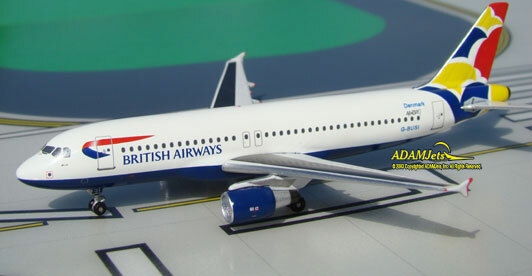 Aviation400 Model: one limited edition, collectible die cast airliner model in 1/400 scale. All construction is made of metal, of an Boeing B747-2U3B in the Star Airlines Current Colors. Airframe Registration Z3-CAA. 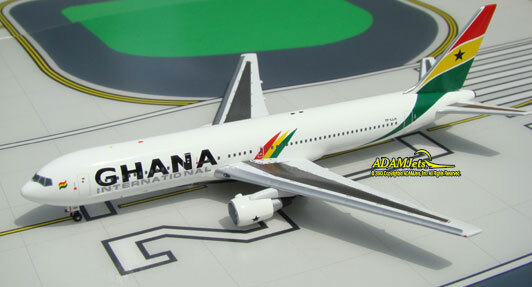 This models is available as of June, 2009.